One reason is because we forget to refill the well. When we're fully tapped into our creativity, not only are we often tapped into something bigger than ourselves, but we're also tapped into our lifeforce. And if we're operating on half full or quarter full or even lower, trying to be creative means we're tapping into energy we need just to function as living human beings. and allow yourself the gift to recover. Allow yourself to refill the well. When the well is full, you can operate at a surplus rather than your reserves. And when THAT happens, your creativity can energize and fulfill you instead of deplete you. 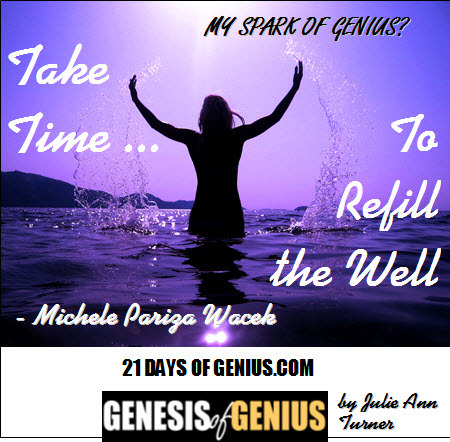 So how do you refill the well? but it's typically an activity that makes you feel refreshed and rejuvenated. Maybe you need to paint, play music, walk or dance. Or maybe you're just "done" for the day and you need to honor that instead of trying to push through it. But the most important thing is to listen to your inner muse. She'll tell you when it's time to refill the well and what you need to do to fill it. 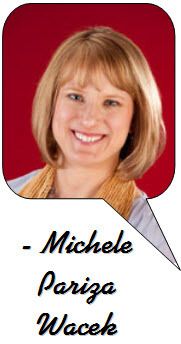 Michele PW (Michele Pariza Wacek) is your Ka-Ching! marketing strategist. She helps entrepreneurs attract more clients, sell more products and services and boost their business.